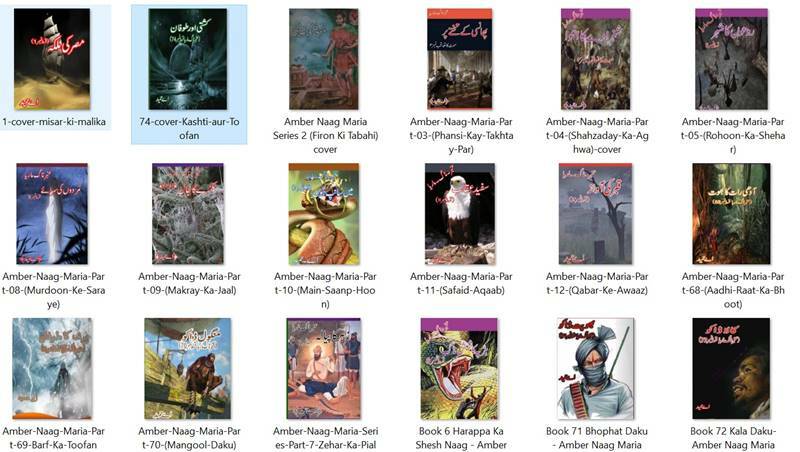 Amber Naag Maria by A.Hameed is considered the most popular fictional story for children growing up in 1980s in Pakistan. Although Dastan of Amir Hamza and Talism e Hoshruba goes back centuries, Amber Naag Maria was more modern fiction with characters that resemble superhero from comic books. Amber has been blessed with a gift of immortality, Naag is hundreds year old deadly snake which can transform into any human face and has ability to gather snakes and see hidden treasures, and Maria is invisible women. Courtesy of UrduRasala.com [a website defunct since 5 years].